I'm a font connoisseur, and I'm always looking for something new and inspiring. I love pairing fonts with design and working the two together to complete a look, adding unexpected decorative elements. I definitely have my favorites, and a handful of fonts that I love to use for each season and holiday. With a new project in the works, I'm digging through my archives and searching for new fall-inspired fonts for 2014. I thought it would be fun to share some of the best, and my personal faves, with you today. Because who doesn't need beautiful font gracing a page or piece of paper??? I think it makes all the difference, and I'm sure you'll agree when you see the fonts I have collected to share with you. To download the fonts, click the links under the image. 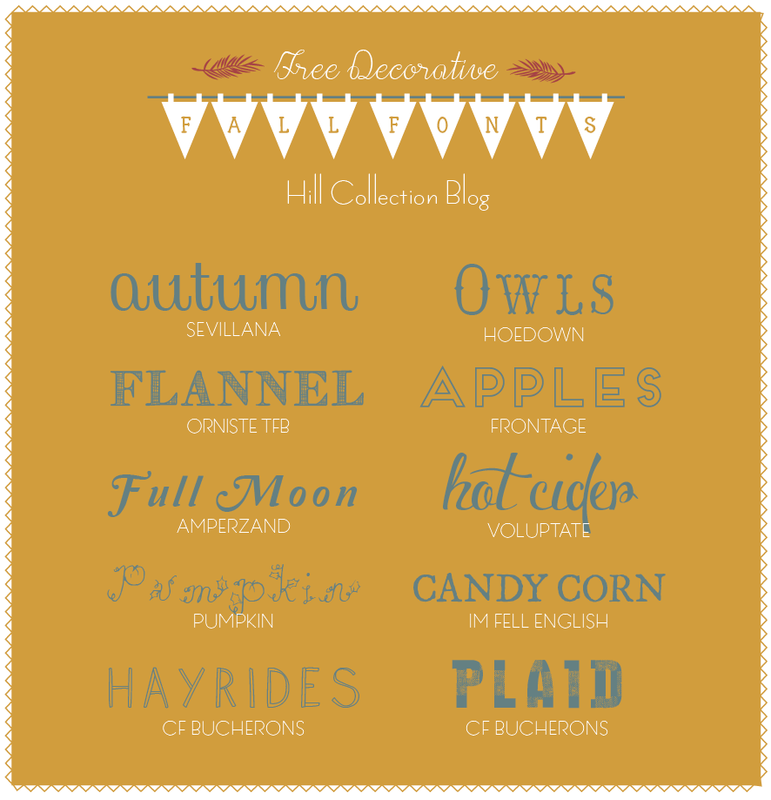 I hope you love my top 10 fall fonts as much as I do!! And the best part, they're FREE!! Fallelujah for decorative fonts!! Stay tuned next week for my top 10 Halloween fonts, and yes, they're free too! !